This is a video prepared by historian Bruce Macdonald to give a historical context for current discussions about the future of the Grandview-Woodland neighbourhood of Vancouver. 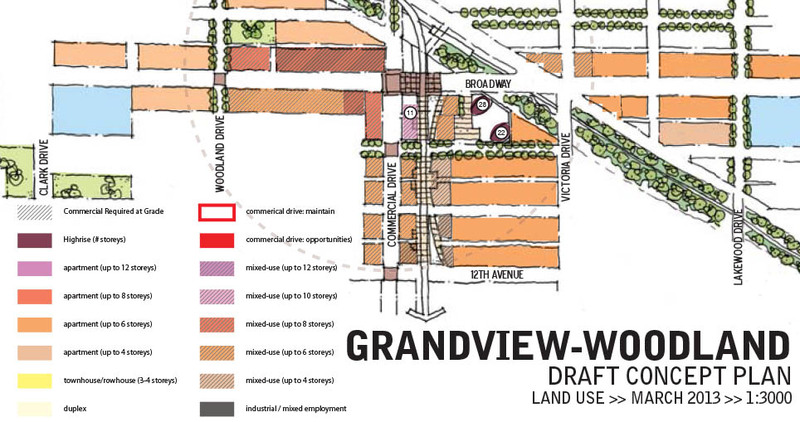 Below is a series of the plans we have compiled and analyzed to show the evolution of the Grandview-Woodland plan, one of the hottest (most controversial) planning areas in Vancouver at the moment. What happens there this year will certainly determine the fate of this unique and treasured neighbourhood. But this story also exposes enormous, citywide implications about the systems and culture hidden behind the walls of City Hall, far beyond the scrutiny and influence of residents and taxpayers. Something must change. 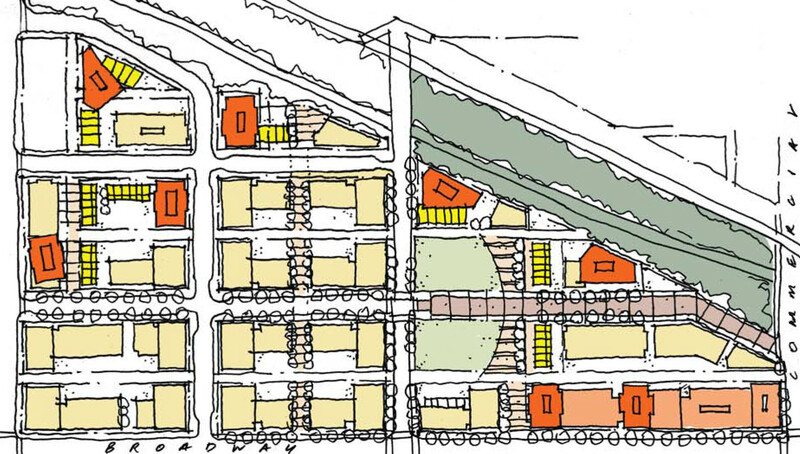 Under public pressure, the City of Vancouver recently released a series of draft plans that were made prior to the contentious June 2013 “Emerging Directions” land use plan for the Grandview-Woodland neighbourhood. A total of 71 drawings dating from September 2012 to June 2013 are now available for download from the City’s website (in a huge, single, compressed 1.5 GB zip file, available here). The drawings graphically confirm reports of political interference (reports leaked from a former planner and a current city employee). 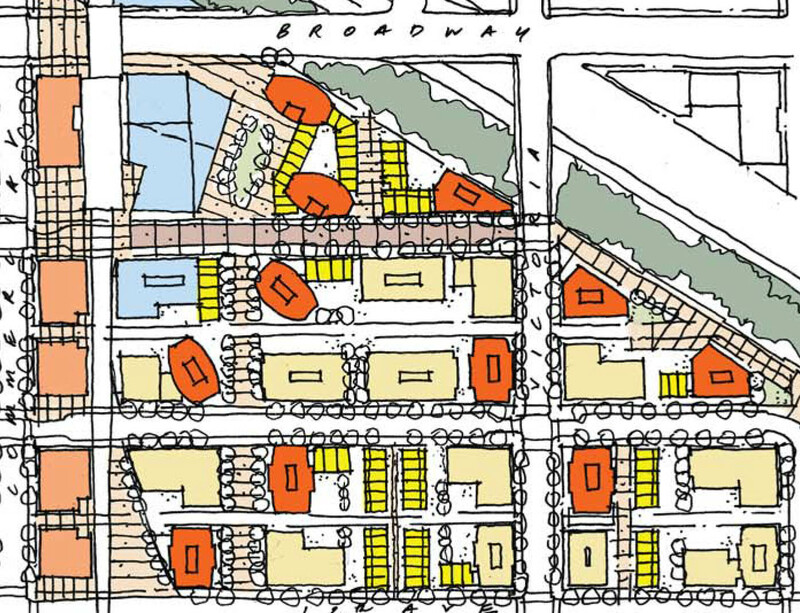 Further details on this are available in a previous post: Inside story of a botched community plan process: How top-down interference led to 20 towers proposed for Grandview-Woodland (CityHallWatch, Nov 13, 2014). 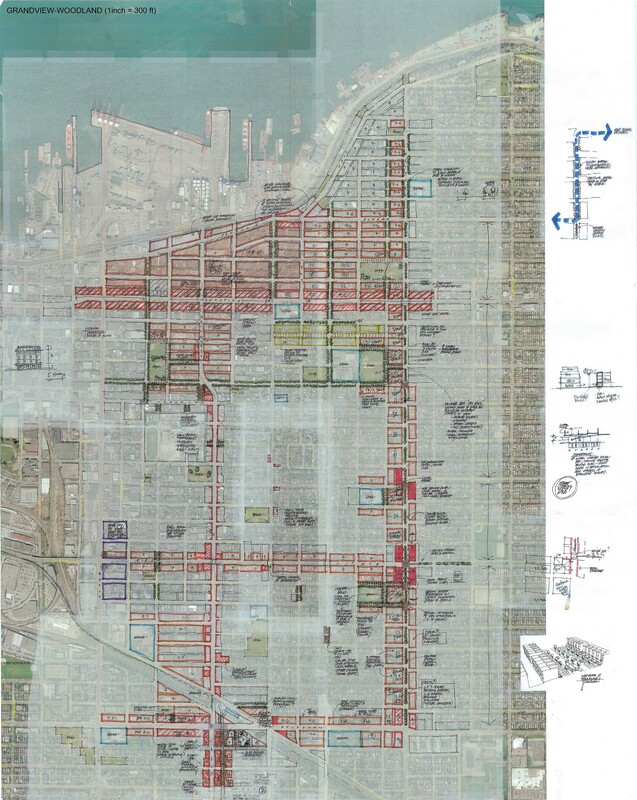 The draft plan from February 2013 was successively “refined” into a comprehensive land use plan during March that year. 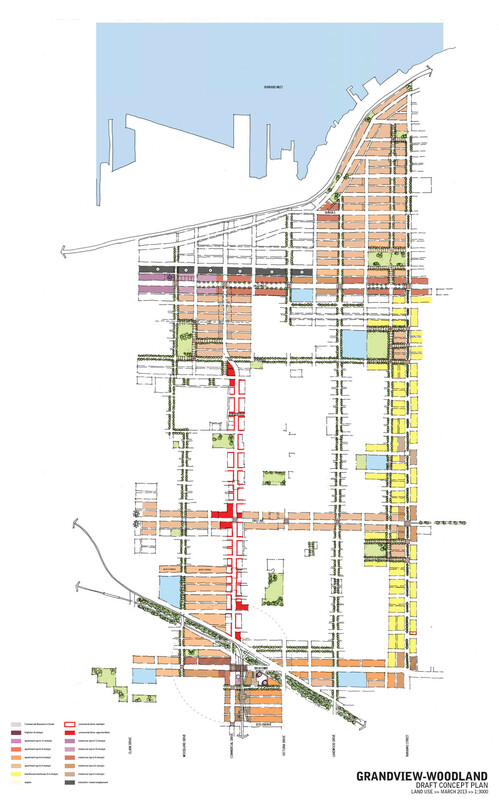 After the changes, a drawing dated March 22, 2013 (click on inset to enlarge) still shows that the “heritage core” of Grandview-Woodland would remain intact. Two tower sites on the Safeway property near Broadway and Commercial were labelled as 28 and 22 storeys (originally identified as 18+ storeys in February). There was also an 11-storey high-rise on the southeast corner of Commercial and Broadway. 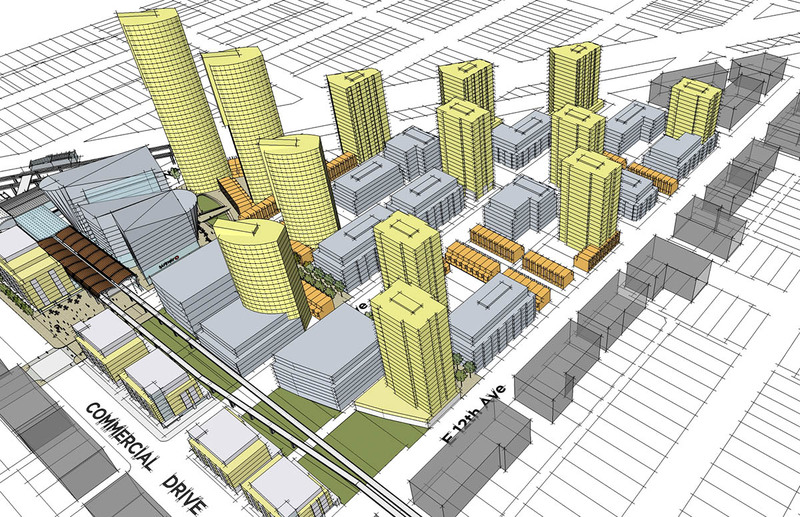 Higher buildings were also proposed along a section of East Hastings, with buildings up to 10-storeys high west of Commercial, and up to 12-storeys high on the block between McLean Drive and Clark Drive. 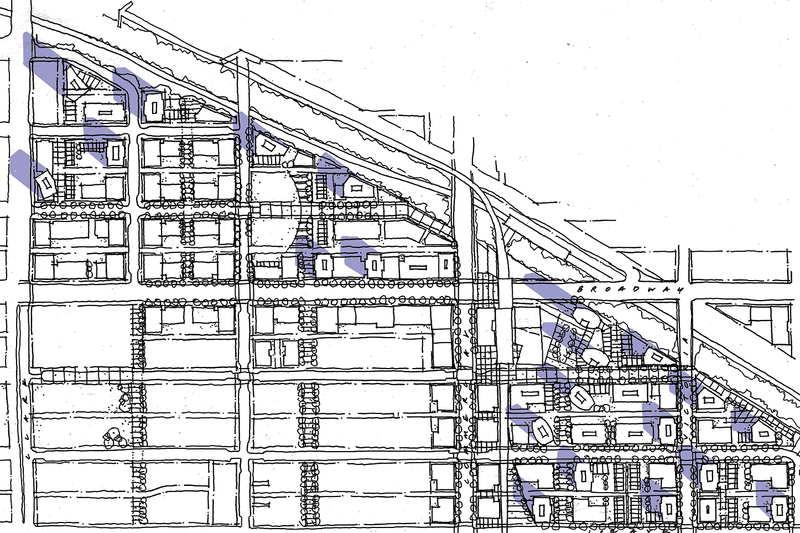 Otherwise, additional density was sought predominantly along arterial streets around the edges of the neighbourhood in denser, low-rise forms of housing, with Commercial Drive retaining its existing character (on the stretch from 7th Avenue to Venables). Jackson then directed the planners to reduce the number of towers by half. Again they complied, but once again “under protest”. This satisfied Jackson (and presumably Robertson and Ballem). The plan was released in a document titled Emerging Directions.